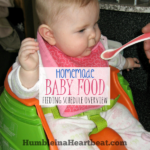 Starting your bouncing baby on solids can seem very overwhelming at first, especially if you decide to go the route of making everything from scratch. I remember when I started my oldest on purees, I wasn’t sure if I should buy all the baby food products or just stick to the basics. So I thought I’d help you out and come up with a list of homemade baby food products you actually need so you can avoid buying something that might be a waste of your money. 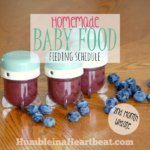 What Do You Need to Make Baby Food at Home? There are so many products that you can buy to aid you in whipping up purees and make sure your baby never runs out of any food. But, truthfully, a lot of products are more luxury than necessity. Below I will give you a run down of the products I think you really do need to be successful, and I’ll also mention products that might not be worth your money. The most important thing you need is a device or tool that can mash and puree. A fork works well for avocados and bananas, but you need something else for all the other purees you’ll make. To accomplish this, you could use a food processor, blender, immersion blender (my absolute favorite), or even a baby food maker. 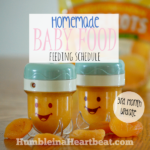 Here’s my take on baby food makers. They can be awfully expensive, only serve one purpose (to make your baby purees), and the reviews are not all that stellar. On the other hand, if you are pressed for time, these little babies really can make your purees without much effort on your part. If you get one from a baby shower, by all means, use it! 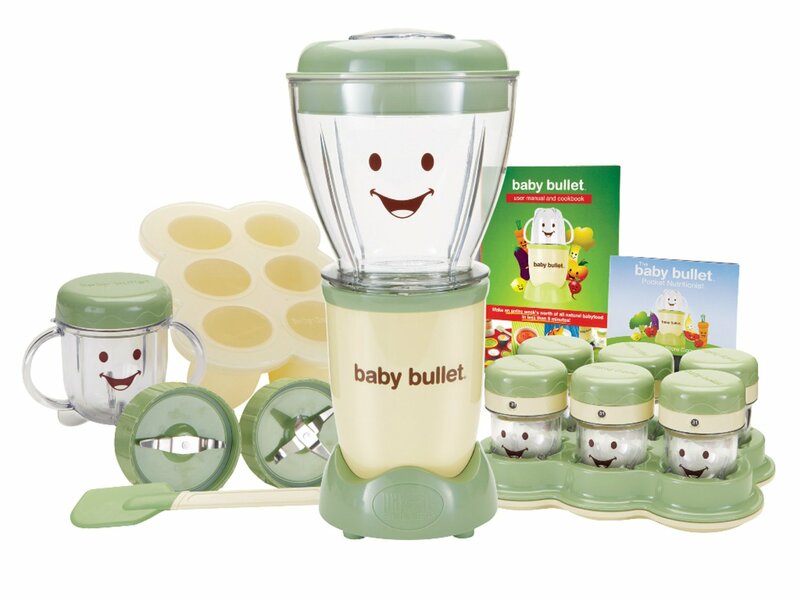 But, if you are having trouble coming up with money for one, you will probably be better off getting a nice blender that you can use for other purposes and that can be used for a whole lot longer than just the couple months your baby will need purees. 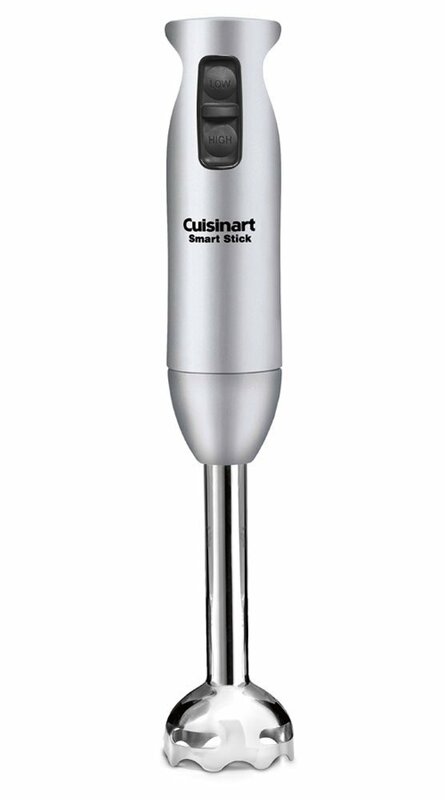 I prefer to use an immersion blender for the following reasons: clean up is a breeze, you can puree in the pot that you cooked the food in, it serves several purposes (i.e. 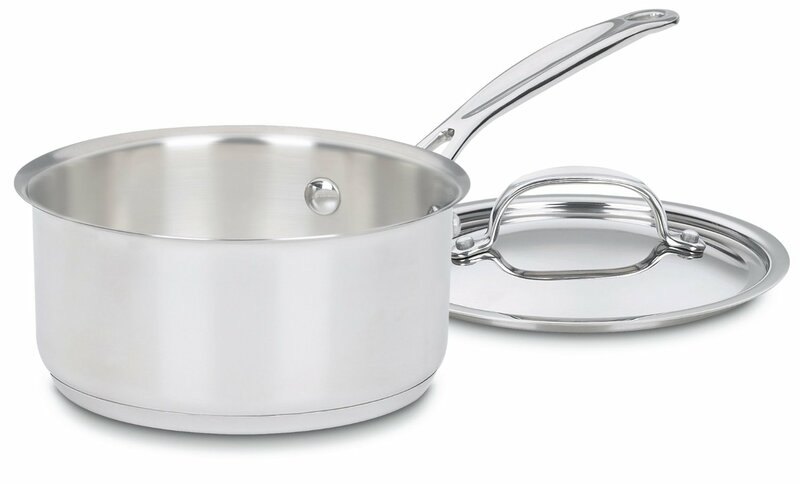 you can use it to puree soups and even make homemade mayonnaise), and it’s less than half the price of a baby food maker. Whatever gadget you decide to get to make your baby’s food, try to be realistic. 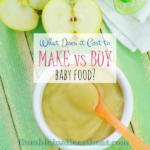 Just because you have a baby food maker, for example, doesn’t mean your baby’s food will magically make itself. You still have to put in effort to get it done. If you are still thinking about getting a baby food maker, I think the best one is the Beaba Babycook Pro. I personally wouldn’t buy it because of the price, but if you only want to use one device to make your baby’s food, this is it. It also makes over 4 cups of food at a time and has the best reviews I could find on a baby food maker. I’m assuming, since you want to make homemade baby food, that you likely already have some basic cooking tools in your kitchen. If you don’t, you should consider buying them since they will make your life so much easier. 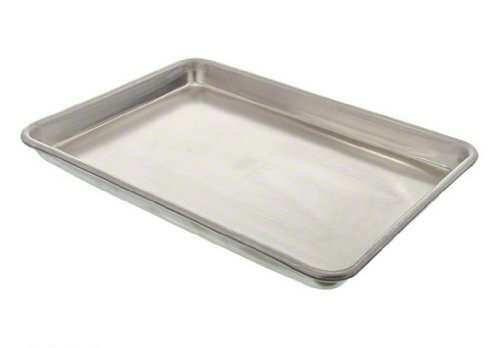 You will likely need a pot, a cutting board, a nice knife, a steamer basket, and a baking sheet. Without one of these things, making purees can turn into way too much effort. The reason for the pot, steamer basket, and baking sheet is that most food you will make for your baby will either be steamed, roasted, or boiled. 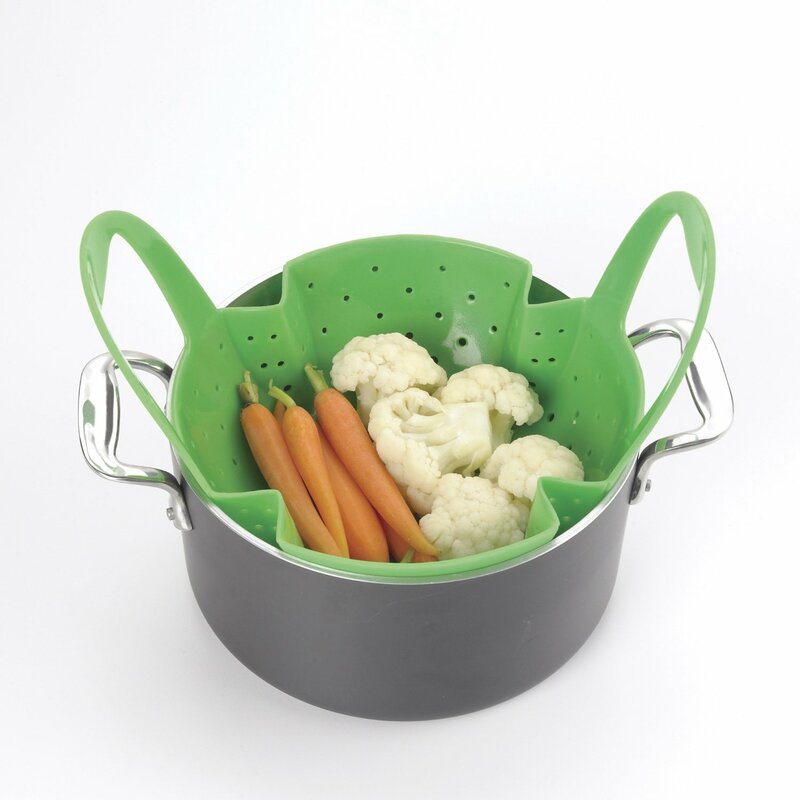 A lot of foods that you make for your baby are healthier when you steam them, so you might need either a steamer basket that you can place in a pot you already have or else you’ll need a steamer. Our rice cooker has a steamer basket and sometimes we use the basket in a pot if we don’t want to make any rice. Having storage containers that can fit individual portions for your baby will be a huge lifesaver. 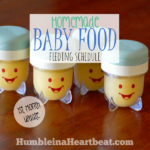 Making homemade baby food is easier to pull off when you can make a large batch all at once and store the rest for later, either in the fridge or the freezer. 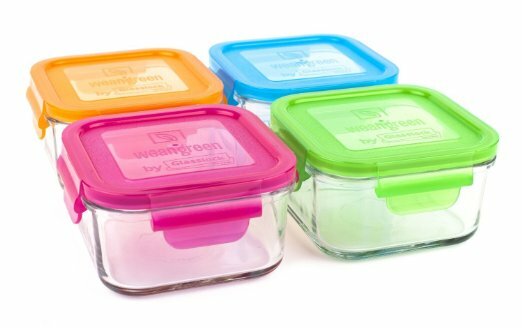 I used Baby Bullet food jars that my mom found on clearance years ago, but there are so many other storage containers on the market to choose from. 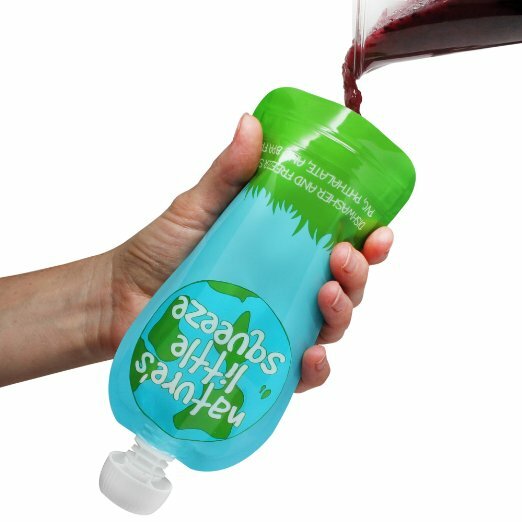 If you are worried about BPA in plastic, you might want to go with glass. Don’t go all crazy and buy a ton of storage containers unless you are 100% certain that you will be sticking to this homemade baby food thing for the long haul. Of course, you can use small storage containers for other purposes in your kitchen, but you should still just start by getting a few for the first month or so. Always make sure you label your containers with the date and the food that is in it. 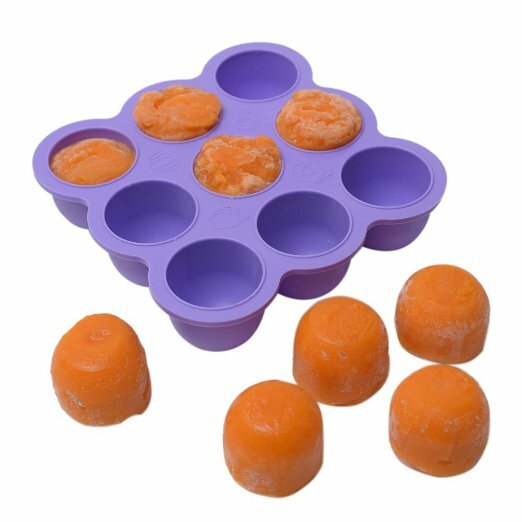 Sweet potatoes and carrots can often get confused, and you don’t want any baby food to stay in the fridge for longer than about 3 days. 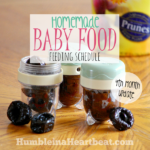 You will likely get to a point when you need to make a lot of baby food to keep up with the demand of your growing child. This means you will want to utilize the freezer as much as possible so you are not always in the kitchen cooking. There are several ice cube trays on the market that are perfect for this purpose. I would also suggest having freezer bags or storage containers that are freezer safe and a marker to label the bags or containers. The Mumi&Bubi Solids Starter Kit. I reviewed these freezer trays last year, and I still use them. I make fruity oatmeal mix-ins and soup and freeze them in these trays. If you are on-the-go a lot with your baby, you might want to invest in food pouches. I have never used these myself, but I have heard they are really great to have on hand. I am sure that if I have a third child, I will get some of these so I can feed my baby while I am driving my girls to school or extra curricular activities. You can continue to use these pouches as your child grows up. I’ve seen lots of older kids eating food out of them! 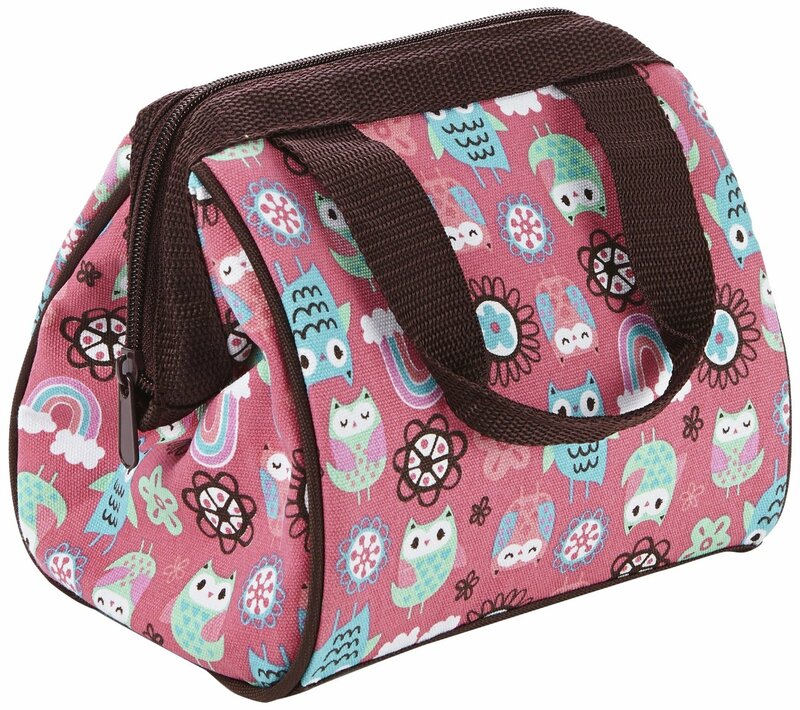 Another great item to have when you are in the car a lot is a lunch sack that can keep the food cool. Get one that you can use for many years to come, not just when your baby is young. The more I made my daughters’ purees, the more I realized that simple really is better. There is no need for extra gadgets around the kitchen when most common kitchen items can do the trick and last a whole lot longer. 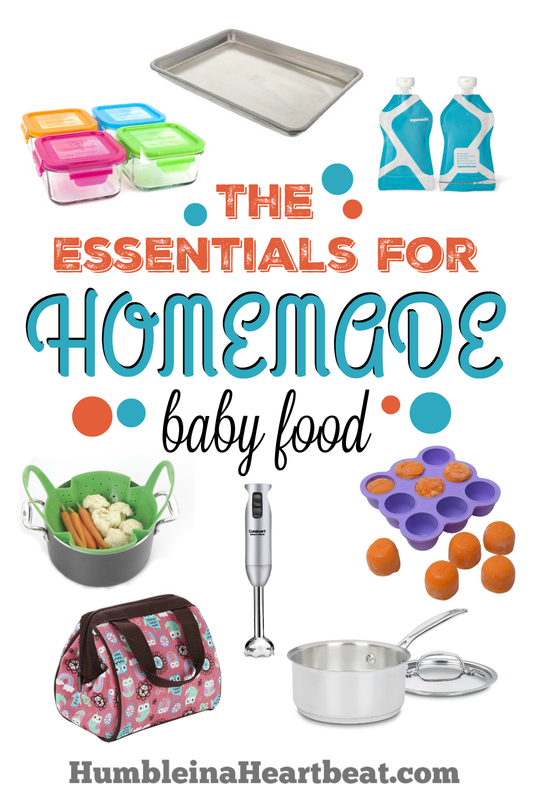 Hopefully this guide to essential homemade baby food products has helped you realize what you really will need to successfully feed your baby purees from scratch. Any products you would recommend? I found this article very useful. I am a bit concerned about my baby’s food so I have decided to make it by myself. I have never made baby food and after reading this article, at least I know what products I need to buy, so I can prepare the food and keep it fresh.